Relish (Macmillan) is the narrative/memoir of author Lucy Knisley who grew up being raised by gourmet parents (mother a chef, father a first rate gourmand). 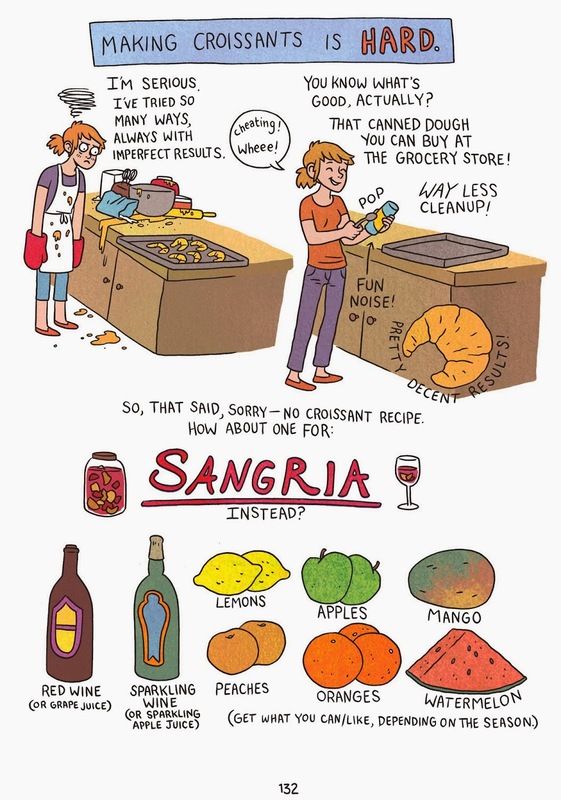 Knisley, a talented comic artist and illustrator, has put together a wonderful graphic novel style depiction of her upbringing through the perspective of her love of cooking and eating. 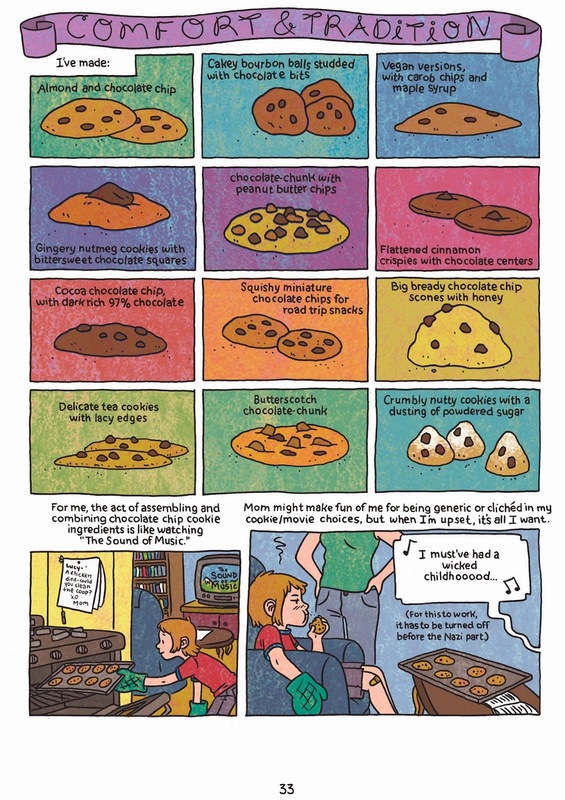 Of particular note are the illustrated recipes which manage the rare feat of being extremely fanciful while being completely practical. The book’s occasional wistful and melancholy tone is leavened by good humor and candor (such as the author’s appreciation of less than gourmet fare such as McDonalds fries). This book’s rewards and healthy outlook on food and eating make it perfect, in particular, as a vehicle to introduce young adults to the pleasures of food and cooking. Bellport has not had much luck with the simplest of main street staples the community coffee shop. Nearby Patchogue's Roast seems to do a brisk business and Shirley's surprisingly hip Tend Coffee shop seems to have made a good and permanent impression in that community. 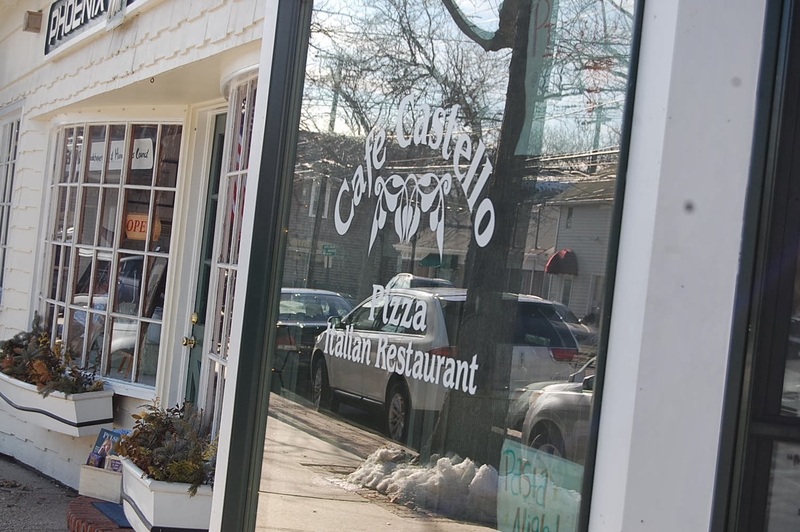 Bellport had Kitchen + Coffee about a decade ago but with that closing there have been a string of failed culinary enterprises which typically aimed to be higher end when all that was really appropriate and necessary was a simple community hang out. With the warm and modest Cafe Castello, this trend seems to have been reversed. Cafe Castello is more of a pizzaria than a coffee shop but many of the patrons there seem to treat it as such getting tea and coffee for take out or sitting in a corner reading Newsday or browsing on their Kindle slowly imbibing cafeeine. 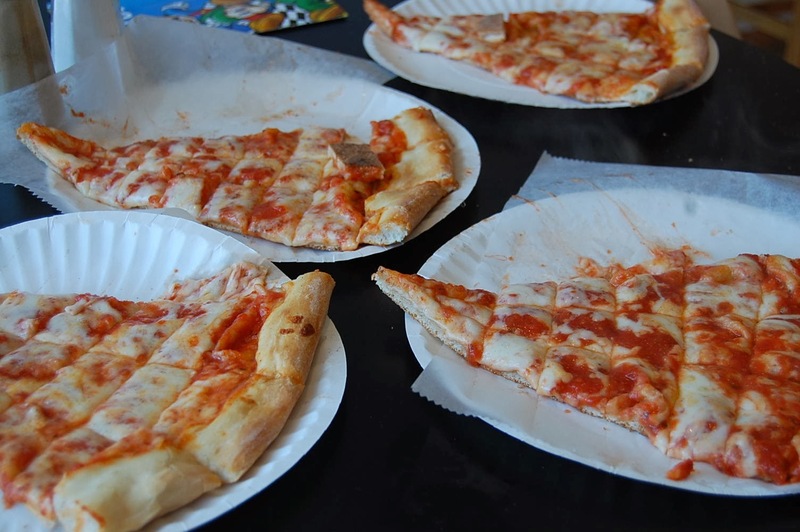 The Cafe has a full menu but the most popular items there are the well made and generously portioned pizza slices which are made with fresh dough and have a great flavor. 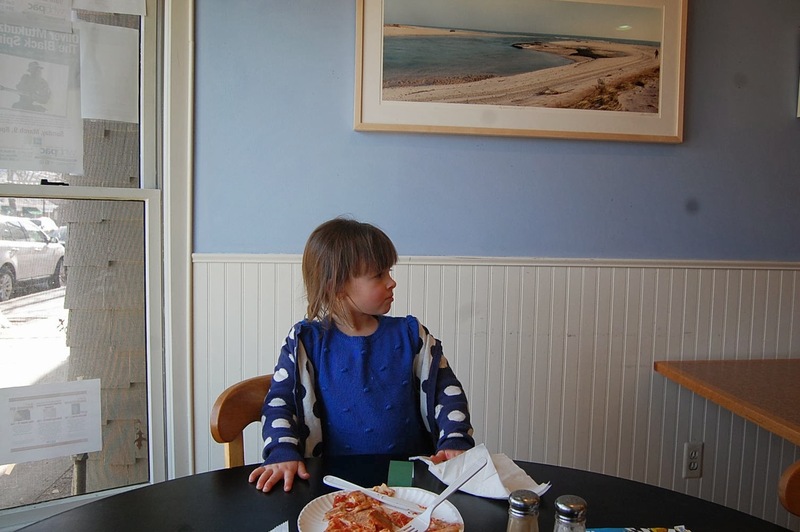 My grandchildren Jackson and Sloane particularly like the cheese pizza which has an unusual sweetness to the tomato sauce which makes it distinct from other pizza offerings in the Brookhaven community.